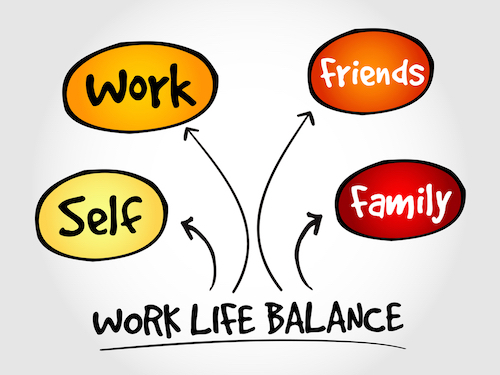 Do You Have A Work / Lifestyle Balance? Or Are You Simply Stuck In A Rut? I qualified as an approved driving instructor in November 2012. Setting off to work on the Monday and for the first time in over 25 years, I knew I would be home later that day at a time of my choosing. During the past 7 years, I have been able to completely control the days and times I work, I have holidays whenever I choose them without asking permission. It’s not my intention to persuade or influence, but merely run the idea by you. A lot people request the book but after reading it decide it’s not the career for them. And that is exactly why I like to send the book out. At least you have explored the possibility and you can continue your search for a solution to your work/lifestyle balance. Many people read the book and then wish to explore further by making an appointment to chat with me. During the chat, you have the opportunity to witness first-hand how the school is run, and perhaps more importantly, see how you would fit into the team once qualified. We send a lot of books out to the local Burton, Ashby and Swadlincote area each year and that helps us to find the 6-8 new people who wish to pursue this career change and join us at the school. Do any of these ring true with your current career. “owned” by your job and it’s employers, lack any type of job satisfaction, recognition or long-term prospects. My name is Mark Jordan and that definitely applied to me on all three counts back in 2011. At the time, I was working for B&Q, one of if not the largest DIY Group in the UK. The job paid reasonably well and I did get to travel the UK, visiting different stores for various projects. Did like the retail life style Yes but there was a huge trade off. During my 20 + years in retail management I don’t think I had an Easter break, Xmas was 2 days and that was your days off not extras. It was me selling the BBQ’s not using them during the summer months, by the time I got home it was more than likely bed time. When I look back, I missed a lot of special moments, that I now can’t get back. Of course, I am not alone and during the past two years, I have conducted a few interviews with people that have similar stories to tell. I have had the opportunity to meet a very diverse group of people, from a teacher at a very large school and workers from the major local companies. Remembering that exact moment to this very day but little did I know that it was about to change my entire life. Driving home from work after being invited out, I was already late and had rang ahead to my wife to say “go without me” and that was when it hit me. How many times had that happened in just the last 6 months, I had lost count. I’m sure she felt single walking into the party on her own. Getting home I immediately starting scouring the internet for another job. My wife returned and asked what I was doing and explained I didn’t want her going out without me any longer and feeling single. It was actually my wife that suggested becoming a Driving Instructor. So I rang a national company the next day and here I am 7 years on. I became a driving instructor in May 2012 and worked with a national driving school until April 2013. Then I went independent and was very proud to be operating with my name on the tuition vehicle as I built a solid local reputation and I was attracting more work than I could handle. 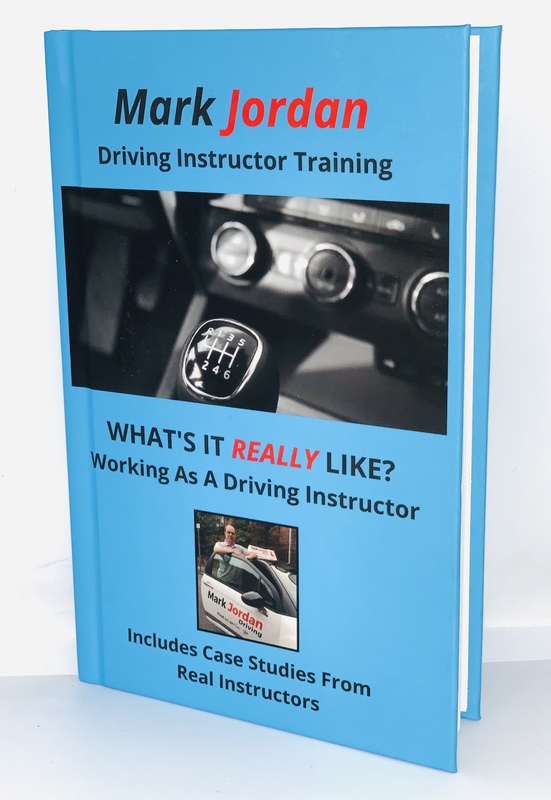 You may prefer to be in a position where you are working under the umbrella of a driving school, with all your marketing and admin taken care of. Or you may be the entrepreneurial type that would like to see your own name “in lights” at some stage and that’s absolutely fine of course. Have I aroused your interest so far? Here at Mark Jordan Driving we operate a personal data policy to comply with GDPR. By entering your details to this form you will receive postal mail along with the book, you will also receive email with further updates relative to the book and a change in career. You can opt out of receiving said information at any time from each email you receive. just click the unsubscribe link at the end of every email.